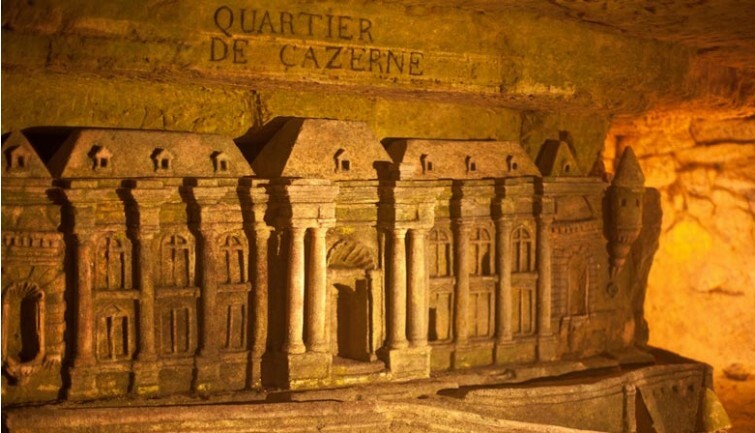 Did you know that a parallel world exists deep beneath the heart of Paris? We’re not talking about the metro tunnels crisscrossing below, or the intricate networks of the sewer system. No we’re talking skeletons—6 million of them to be exact! 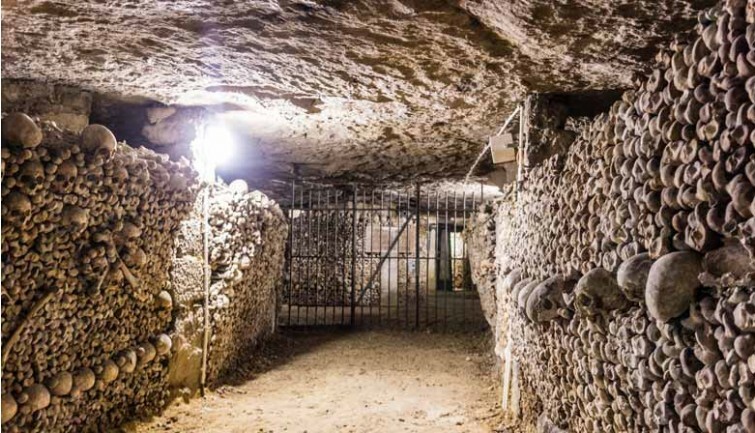 The Catacombs encapsulate all that is mysterious and beguiling about Paris, offering a unique underground adventure unmatched by any other city. But our excursion is so much more than bones—in fact some of the city’s deepest darkest secrets lay within those limestone tunnels. We offer rare VIP access so you’ll see more unexpected objects and thought-provoking curiosities than the normal visitor. This is a chance to explore underground Paris to the fullest. 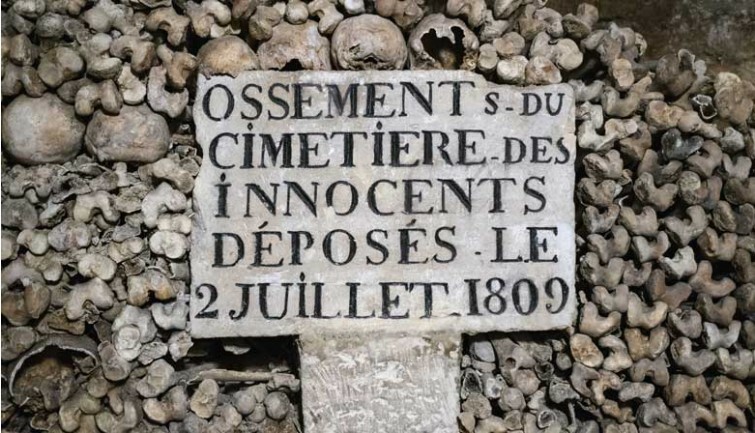 A trip through the Catacombs is a journey through time that revisits some of the most turbulent and tumultuous periods in Paris history. Where did the bones come from? Why were they put there? And more importantly—who arranged them in such a bizarre way? You’ll discover the stories and secrets of this network of tunnels that extend some 20m beneath the hustle and bustle of modern Paris. To sweeten the deal we’ve also arranged skip-the-line access so you can avoid what is typically several hours of standing in line. 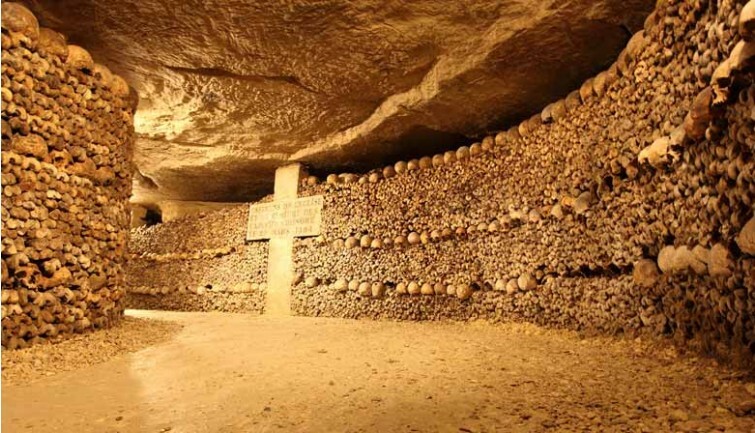 * Guided tour of the Catacombs of Paris with guide. * No toilets, no cloakroom. * 130 steps down. 83 steps to go up. * Temperature: 14 ° C.
* Not recommended for people suffering from cardiac or respiratory insufficiency, sensitive persons and young children. 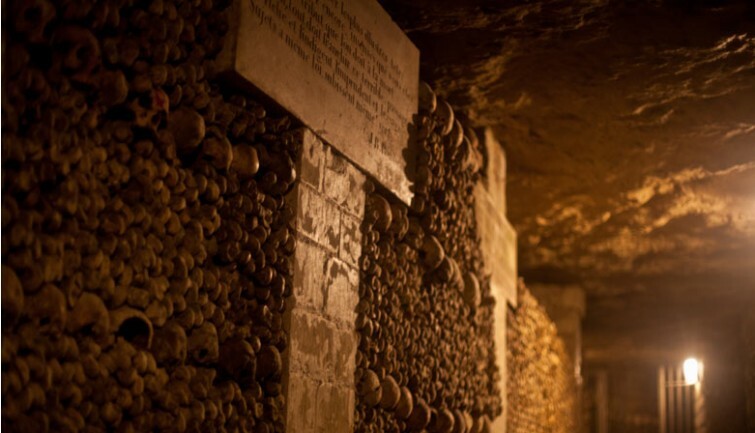 * The Catacombs are not accessible to people with reduced mobility.